Armor Games Studios is proud to formally announce “Love is Dead”, a puzzle game originally titled “I Saw Her Standing There” by indie studio Curiobot. The game is planned to release on Steam for PC and Mac in spring 2018. Love is Dead has been completely revamped with all new art from Xavier Garcia, and additional gameplay. Love is Dead is a puzzle game where the player controls two freshly dead zombies, swapping control back and forth between the two, with the goal of avoiding hazards in each level and reuniting them safely. 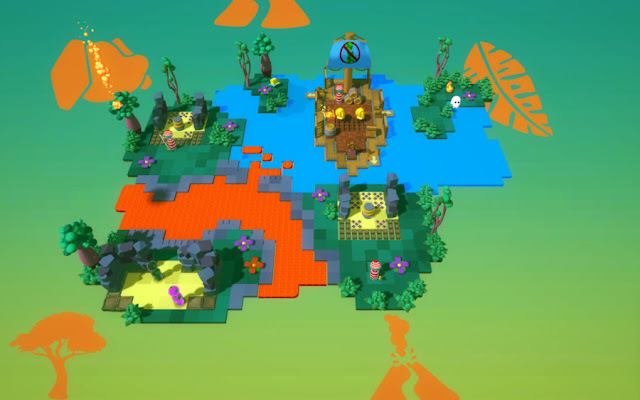 The player will guide them across seven unique worlds and over 300 individual levels in search of their missing pets. Players may also choose whatever pronouns their use for both characters to reflect whatever gender they wish. Love is Dead places an emphasis on positive, upbeat themes and creative puzzle design with many new elements introduced throughout. The game began life as a series of well known Flash games, beginning with “i saw her standing there”, and this is its first commercial title.